​Manchester City stand accused of 'manipulating' their contracts in an attempt to cover revenue shortfalls and stay in line with UEFA Financial Fair Play rules, with club owner Sheikh Mansour of the Abu Dhabi ruling family also apparently investing money disguised as sponsor income. 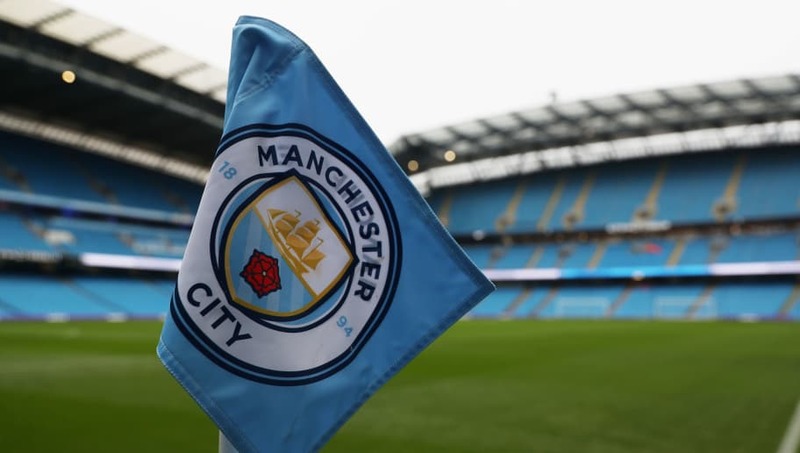 The allegations come from an investigation by Der Spiegel, with the German publication gaining access to internal club emails and declaring that City have engaged in such activities as backdating contracts to 'dodge' potential UEFA sanctions for losses and facilitate spending. Financial Fair Play regulations were put in place to prevent clubs from spending beyond their means, in other words limiting spending to the revenue brought in from things like sponsorship, prize money, broadcasting etc; and equally preventing bankrolling by wealthy owners. "For years now, the Manchester City football club has vehemently denied that its owner, the sheikh of Abu Dhabi, broke financial rules. But internal emails tell a different story, providing evidence of backdated contracts, illusory sponsoring payments and cavalier, 'we can do what we want,' business practices." Questions are asked over the independence of City's sponsors, with Der Spiegel highlighting that Etihad Airways, the name adorning the stadium and shirts, is owned by Sheikh Mansour's half-brother. Etisalat and Aabar are other Abu Dhabi-based companies with ties to the club. And one supposed document seen by Der Spiegel, which totalled cash investment from Sheikh Mansour at just over £1.1bn between the 2008 takeover and May 2012, featured a section titled: 'Supplement to Abu Dhabi partnership deals'. In one alleged internal email, Chief Finance Officer Jorge Chumillas is said to have warned that sacking manager Roberto Mancini in 2013 left City in danger of falling foul of FFP rules, proposing that the deficit be covered by additional sponsorship from Abu Dhabi. "We will have a shortfall of £9.9m in order to comply with UEFA FFP this season. The deficit is due to RM termination. I think that the only solution left would be an additional amount of AD sponsorship revenues that covers this gap," that particular email is purported to have said. 'Costs and debt? None of that matters', is the rather damning assessment from Der Spiegel after explaining how a football club should be run in terms of revenues and budgets. One email from executive Simon Pearce, presumably still relating to the same deficit, apparently read: "We could do a backdated deal for the next two years (...) paid up front." Meanwhile, chief executive Ferran Soriano is said to have proposed getting sponsors to pay a contractually obligated bonus for winning the FA Cup, in a year that City didn't win it. Der Spiegel explains that it was covered when Etihad coughed up £1.5m more, while there was an extra £500,000 paid in from Aabar and £5.5m from the Abu Dhabi tourism authority. The magazine then notes: "And they were all supposed to act as though that had been the deal agreed to at the beginning of the season." Unsettlingly, the email response from Pearce to Chumillas when asked if it was possible to change the payment dates is alleged to have been, "Of course, we can do what we want." Another alleged correspondence involving Pearce reveals that a £15m sponsorship deal with Aabar in 2010 was only partially funded by the sponsor and mostly paid for by Sheikh Mansour. That email apparently read, "As we discussed, the annual direct obligation for Aabar is GBP 3 million. The remaining 12 million GBP requirement will come from alternative sources provided by His Highness." Der Spiegel goes as far as labelling City's financial reports a 'web of lies' and accuses Etihad Airways of 'playing along'. That is because Etihad are alleged to have only directly contributed £8m in sponsorship in 2015, with the other £59.5m of the £67.5m that deal was supposed to bring in that year reportedly provided by Abu Dhabi United Group, Sheikh Mansour's private equity firm that owns the City Football Group. The more 'income', the more the club could spend. That shock revelation appears in an alleged email from Chumillas to Pearce, while another email from finance director Andrew Widdowson is said to have explained to its recipient that the money is "routed through the partners and they then forward onto us". City's response to Der Spiegel's request for comment in light of the 'leaks' is one of refusal. "The attempt to damage the Club's reputation is organised and clear," a spokesperson said.